Win More Games. Eliminate Stress. Be Loved By Your Team! 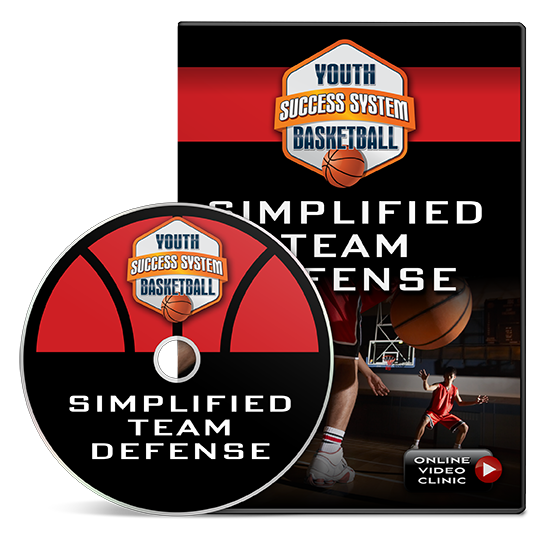 You're about to discover a simple, step by step formula for "injecting" your team with top-notch skills, winning more games, and getting more fun and satisfaction out of your coaching role. 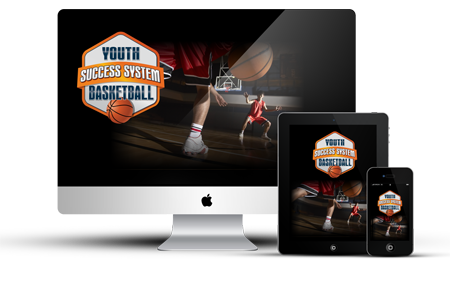 The Youth Basketball Success System is the most comprehensive coaching resource we've ever offered. It's jam-packed with dozens of essential drill progressions, coaching tips, plays, and strategies designed specifically for players age 6-16. No matter what age level you coach, or how experienced (or inexperienced) your players are... I guarantee you'll find TONS of new drills and practice ideas that WILL translate to better performance for your team. 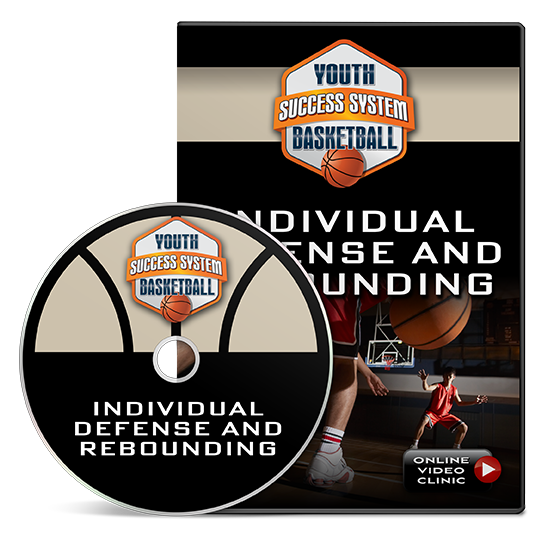 More than 5 hours and 42 minutes of step by step basketball coaching instruction. 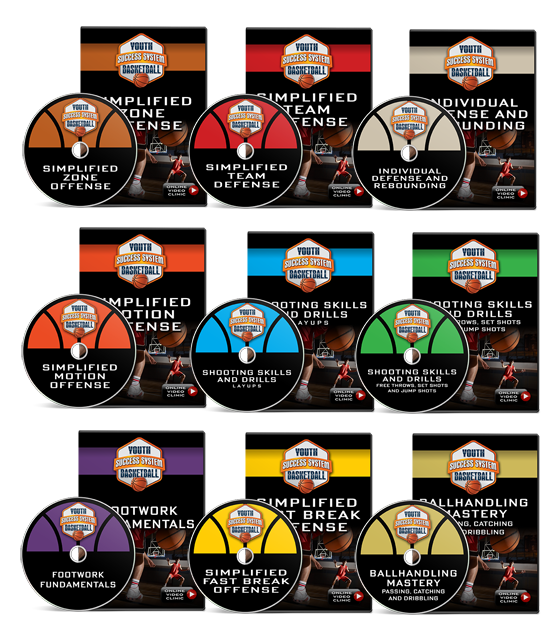 Jam-packed with championship-proven drills and coaching tips. To engage your kids in practice, keep them focused, and motivate them to play their best! To out-smart your opponents and win more games! 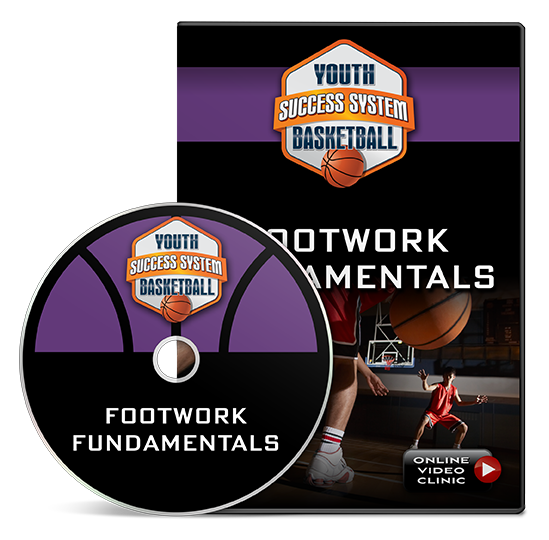 21 drills designed to improve players’ footwork and enhance their ability to play offense, defense and rebound. Defensive footwork drills to cut off penetration, stifle your opponent's offense, and shut down their scoring! The 4 off the dribble crossover moves every serious player should know. Sneaky (yet totally legal) ways to get more layups inside your half court offense. 11 different field goal progression drills that your players will absolutely LOVE! 4 keys that will immediately make anyone a better and more consistent free throw shooter! How to use close outs, lead steps, dribbler control, shot contesting and more to become shut-down one-on-one defenders! 3 time-tested rebounding drills that teach your players to aggressively go after the ball! Your team will OWN the boards, even if you're small, skinny, and can't jump! How to teach basic, intermediate and advanced help defense concepts, so all 5 defenders move "on a string" and take away your opponent's best shots! How to defend give and go’s, backdoor screens and more so that the team you’re playing never gets an “easy hoop”! How to train your players to shift from defense to offense at the drop off a hat, and get easy layups in transition all game long! 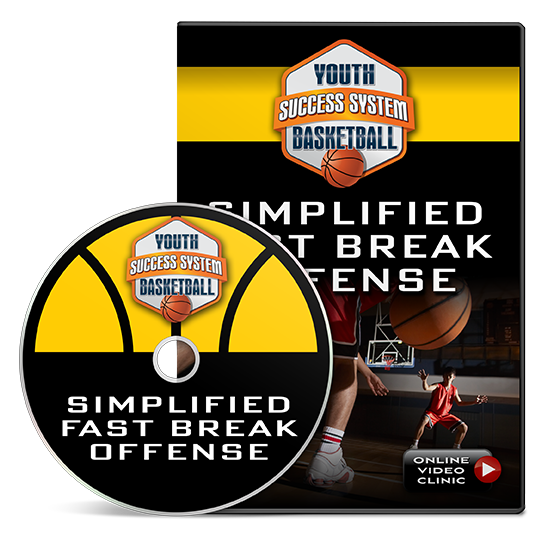 A simple a "secondary break" offensive system that gets you boatloads of high percentage scoring chances (when the initial fast break is not there). The fastest, easiest way to break ANY full court press. How to beat zones by using gap integration and by getting the ball into the hands of your best shooters! 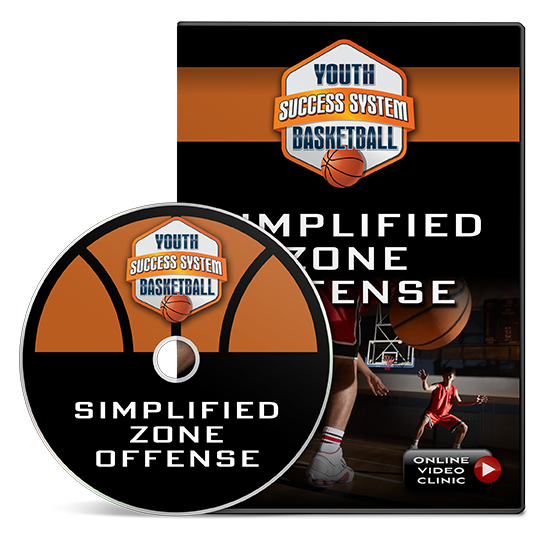 4 powerfully effective drills you can use to build up your players shooting and rebounding skills within a zone motion offense! The #1 thing your team MUST do to run a really successful motion offense... and exactly how to teach this skill in practice! Two specific motion offenses – the gate and the five-man open post – and how to use either of them to get a great, high percentage shot against any defense! That's more than 9 hours and 37 minutes of incredible content, jam-packed with proven drills, plays, and tactics. That's a full 81% off! Click the Upgrade button below and we'll automatically add the Youth Basketball Success System online video clinic to your order. You'll be directed right over to our members area, where you can get instant access to all the material. Click the Upgrade button below to get started now!